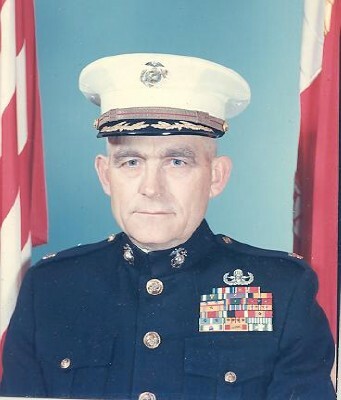 Retired U.S. Marine Corps Lieutenant Colonel Kerry Lane, 85, of Spotsylvania County, Virginia, passed away Saturday, November 1, 2008, at his residence. Colonel Lane was one of the Corps' most highly decorated veterans. His interment will take place at 1 p.m. Wednesday, January 7, 2009, in Arlington National Cemetery, with full military honors. Those wishing to attend are asked to assemble at 12:15 p.m. at the Arlington Cemetery Administration Building. Retired Marine Lieutenant Colonel Kerry Lane, 85, of Spotsylvania, Virginia, died Saturday November 1, 2008 at his home, Post Oak Farm. Colonel Lane, who retired from the Marine Corps in 1971, is noted as one of the Corps’ most highly decorated Marines. A combat veteran of World War II, the Korean and Vietnam Wars, he was awarded two Purple Hearts, the Silver Star Medal for conspicuous gallantry, two Bronze Star Medals for Valor, three Presidential Citations and the Vietnamese Cross of Gallantry. Colonel Lane was a charter member of the Military Order of the Purple Hearts, Chapter 1732; the Old Dominion Chapter of the 1st Marine Division Association; the Guadalcanal Campaign Veterans Association and the Retired Marine Officers Association. 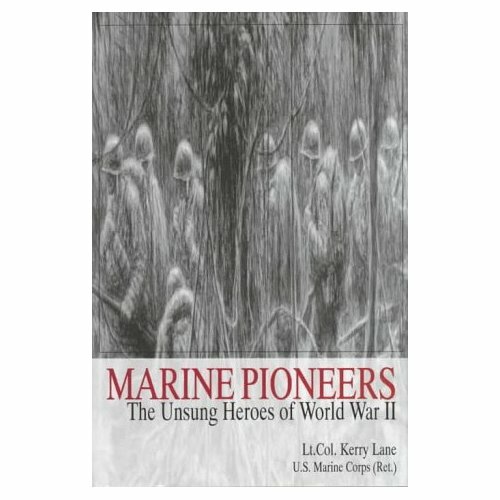 Colonel Lane was the author of two books, Marine Pioneers, The Unsung Heroes of World War II, and Guadalcanal Marine. Survivors include his wife, Connie Sorrell Lane of Spotsylvania; one daughter, Sharon Lane Blanchard of Fredericksburg, Virginia; two sons, Mark A. Lane of Spotsylvania, Virginia, and Jeffrey N. Lane of Halifax; a brother, Edward B. Lane of Cary, North Carolina and three grandchildren and two step-grandchildren. His remains rest at the Mullins & Thompson Funeral Service Spotsylvania Chapel where Funeral Services will be held Wednesday, November 5, 2008 at 7:00 PM. Honors will be posted by the American Legion, Post # 320. Rev. Ray Farrow, Pastor of Mine Road Baptist Church will officiate. The family will receive friends at the funeral home following the service. Burial will be held at Arlington National Cemetery with full military honors, at a later date. Pallbearers will be the U.S. Marine Corps Honor Guard. The family requests that expressions of sympathy take the form of donations to the Mine Road Baptist Church Building Fund, c/o Marguerite Mastin, Treasurer, 10620 Post Oak Road, Spotsylvania, Virginia. 22551.